Nominated by her friend Ruth, Wendy Engelberg definitely fits the bill for “women making things rad things happen in the bike industry”. Wendy is a powerhouse of energy and loves to encourage more women to bike and just support the cycling community in general. 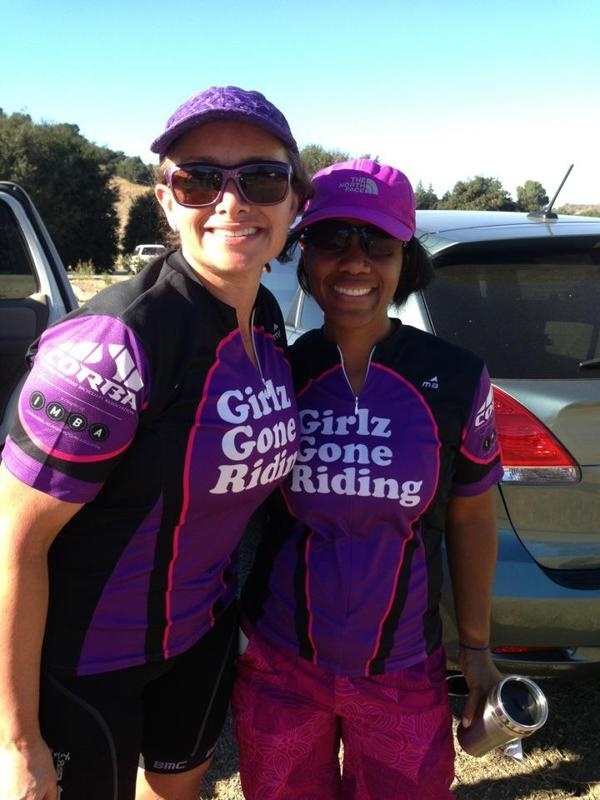 There is also a GGR Facebook group where women can chat about biking, find friends to ride with, share stories & photos,and just feel supported. Wendy`s first event was held last February and another one happened just a few weeks ago in October. This is a FREE event for women only with pro-rider taught skills clinics, bike demos, free maintenance from a local bike shop, guided rides, goodie bags, lots and lots of sponsors, raffles, prizes, a bike swap meet, and more! The main focus of the GGR goup and the event is to support women in cycling. Wendy does this just for the fun and the challenge of it! And because she is passionate about getting women out on bikes for fitness, confidence, and fun. Wendy also volunteers for our local IMBA chapter, CORBA (Concerned Off Road Bicyclists Association, www.corbamtb.com) doing lots of PR work for them. Getting people to support CORBA, who does so much advocacy for our local mountain biking community, is a big passion for Wendy. She also leads rides for our local mountain bike club North Ranch Mountain Bikers (www.nrmbc.org) and organizes awesome trips to great biking destinations. She likes to film the rides with her GoPro and can be heard yelling “You Go! Woo Hoo!” to every rider that rides by! Wendy is the one in our bike group that organizes the birthday parties and visits members in the hospital or in other times of need. She is just the most supportive friend! 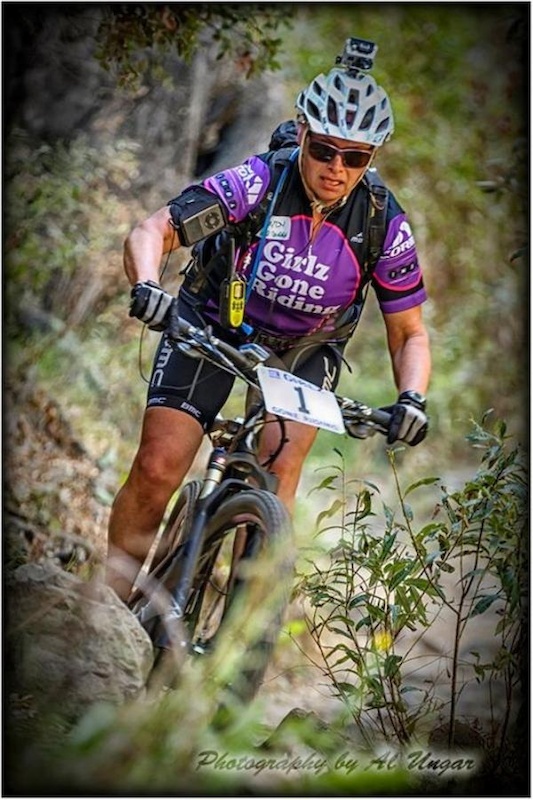 Wendy likes to do endurance bike events and is often found on the trails or on the road logging big miles in training. She also teaches spin classes several evenings a week, in addition to working a full time day job! I’m telling you the girl has WAY too much energy! 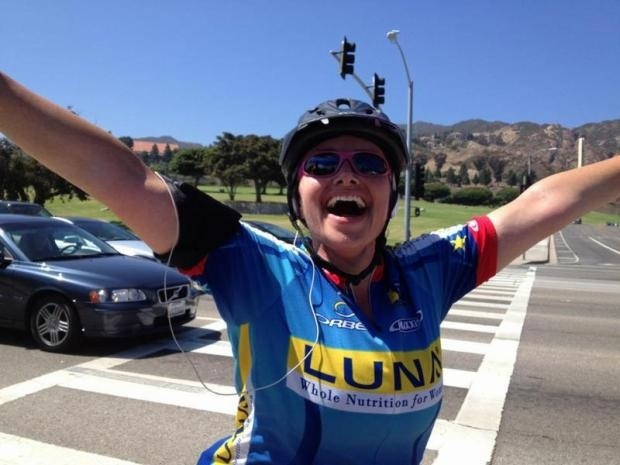 She is super RAD and is making RAD things happen in the bike community! Thanks Wendy!